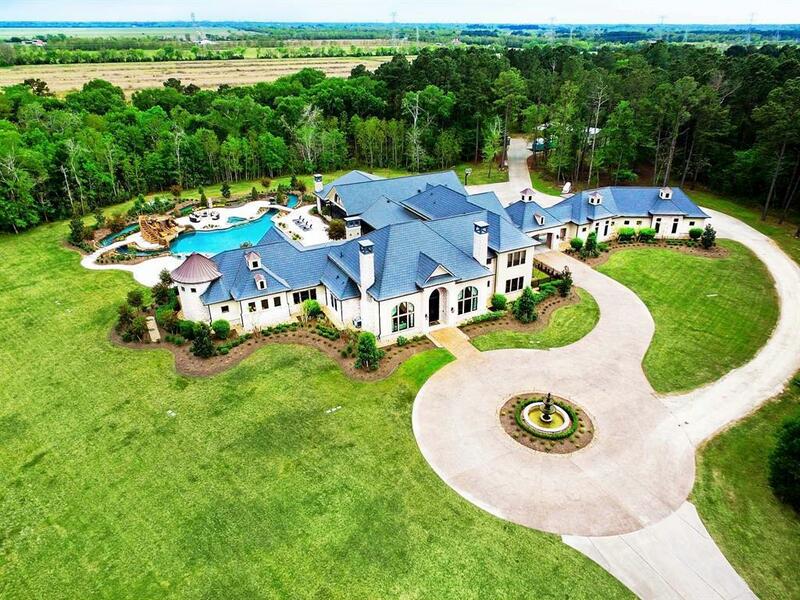 STUNNING custom estate offers 49 unrestricted fully-fenced acres LESS THAN 30 minutes to Downtown Houston! 9339ft Main House + 2462ft Entertaining Wing + 2bed/1bath Guest Quarters w/ kitchen above 5 vehicle garage. Luxurious finishes, soaring barrel vault ceilings & custom millwork in 8beds/ 8fullbaths/ 6halfbaths. 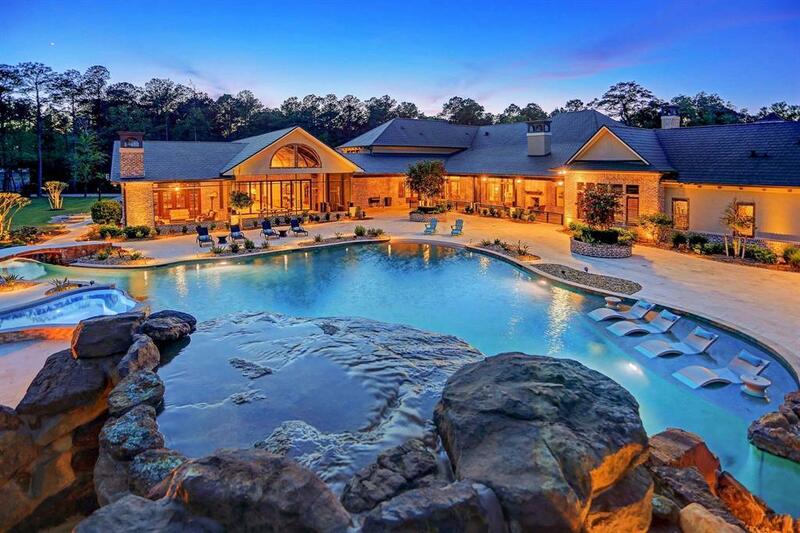 Interior breezeway to amenity loaded indoor/outdoor Entertaining Wing w/ a 2nd designer chefs kitchen, custom bar + billiard/gameroom, expansive 1300ft enclosed loggia w/24 of glass panel doors. Hardwired security, smart surround sound features, backup generator, bug mist system, pet grooming room w/ separate access & dedicated yard, XL laundry room w/ 2x washers & dryers, carport/boat/rv storage area. 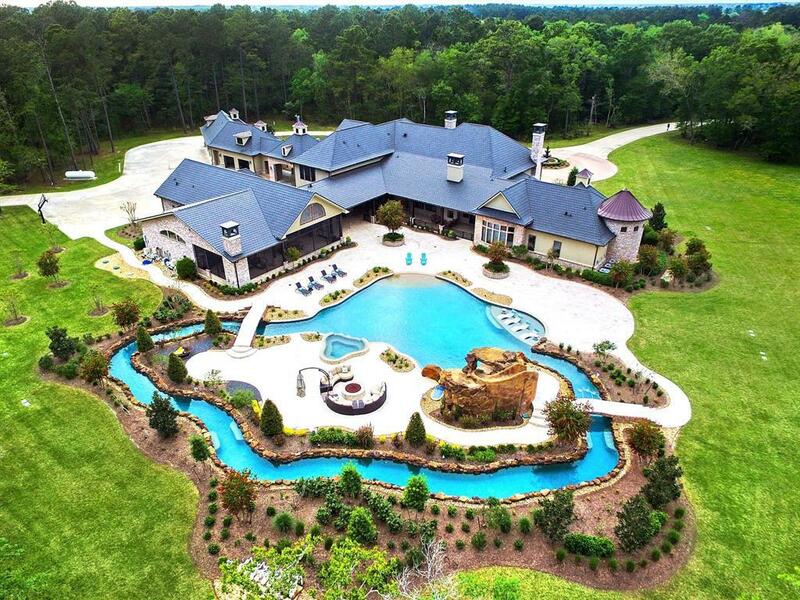 GORGEOUS freeform pool enveloped by lazy river, waterfall grotto + slide, firepit, cabana, trails, stocked pond + breathtaking views! A hidden GEM, impeccably maintained & truly ONE-OF-A-KIND please contact agent for *Features List* & schedule your exclusive showing now.